Where has the time gone? The sand really does slip through the hourglass quickly. Yet another reason not to take anything for granted. This year has been a good one for your Lodge. Funds were donated and raised so that we could get the ball rolling on a ramp for the side entrance to our building. This will help with accessibility for our Brethren and guests. There was a “Flies for Heroes” event this summer benefiting Project Healing Waters. It is a worthwhile cause that takes Veterans fishing as a means of stress relief. It is something that looks like it will be an annual event. 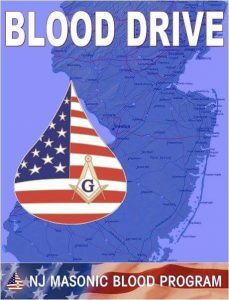 There were food drives, blood drives, and other events which were successful and reminded us of our oath to help, aid, and assist others. One event that stands out was our museum opening. It was a highly successful event organized by the Brethren and attended my many guests and Brethren. I would consider the Lodge’s greatest accomplishment was raising six Brothers to The Sublime Degree of Master Mason. It was the highlight of my year as Worshipful Master. Six new Brothers who may have never met, tied together now by a common thread, Freemasonry. It is a scene that has replayed itself many times, in many lodges across the globe. And it is one that will continue, long after we have left this earthly plane of existence. Out Fraternity’s values are timeless, and our lessons priceless, to those who listen and take them to heart and apply them to daily life. Such is the nature of our Craft, my Brother. I would also like to take this opportunity to thank you for electing me as Worshipful Master. It was my pleasure and honor to serve you and our Lodge; something for which I will always be grateful. I am thankful for all the support from the Brethren throughout the year. Without your assistance, we could not have achieved so much! In the event of our Senior Warden’s election, I will turn the care of our Lodge over to a Brother well equipped to lead the Lodge into the future, Freemasonry is alive and well at your Lodge. Its light is burning brightly. 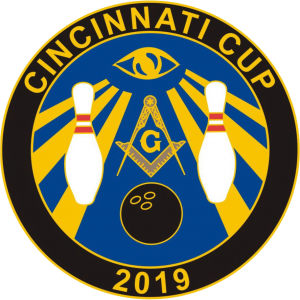 I am honored not just to call you Brother, but proud to be a member of Cincinnati Lodge #3.